Almost a third of Sydney childcare centres are at capacity and parents can wait up to two years for a spot. According to the Australian Women Chamber of Commerce and Industry, childcare demand is growing 13 times faster than supply. The situation is most dire in inner city areas, where raising families is a new and rapidly growing trend. Once in, costs can be astronomical – between $70 and $140 a day per child in Sydney. In the inner city, particularly areas like Paddington and Surry Hills the price is usually at the upper end. 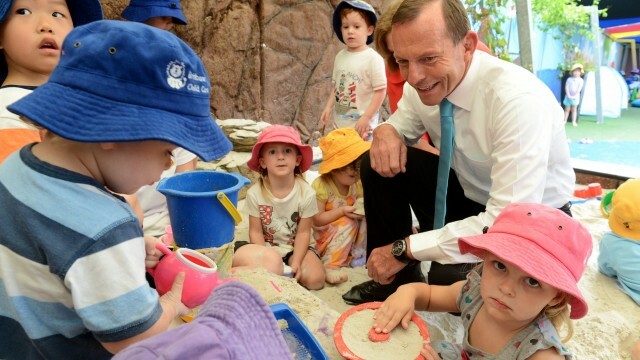 One child in childcare for five days a week at $140 a day comes to $36,400 a year. Australia has a complex system of payments to assist parents with costs through the Childcare Benefit and the Childcare Rebate, however, the investment is considered low in comparison to other OECD countries and the approach has been accused of encouraging childcare price increases. Even with benefits, many parents pay over $100 per child a day. The Australian Council of Social Services points out that benefits are completely insufficient for low-income families. ACOSS suggests a simpler system with one payment paid at higher rates to low income earners, in line with the Henry Tax Review recommendations. In areas where there are few choices for childcare, some parents are forced to send their children to a facility that is ineligible for rebate claims. A February ABC report revealed that some centres charge up to $100 to place a name on their waiting list. I understand that it is difficult for childcare centres to manage long waiting lists when parents refuse offers, but parents have no choice but to register with multiple centres or risk not getting a place at all. The financial strain on parents forces many to weigh up whether it is worth returning to work. One in 10 mothers don’t return because it is not economically viable. Affordable childcare is critical to helping parents, particularly mothers, return to work and this is vital to the economy. Recent modelling by Access Economics shows that increasing women’s workplace participation could lift national output by $98.4 billion over 30 years, a message that I hope has gotten through to the Federal Treasurer ahead of the next budget. Canada increased women’s workforce participation through improving childcare affordability and its female labour force rate is 80 per cent compared to 67 per cent in Australia. Being responsible for major developments, the State Government can help increase the provision of childcare through conditions in planning approvals. Massive developments like Barangaroo, Darling Harbour and the proposed Central to Eveleigh corridor should not only provide for the childcare needs of the future residents and workers, they should also help provide for the childcare needs of existing adjacent residents. In 2012, the City of Sydney allocated $55 million to build six new childcare centres over the next decade. The Bourke Street Childcare Centre is expected to be completed around October next year and commence operation in January 2016. Other councils are supporting family day care, which is approved care for babies to school age children, in qualified educators’ homes. The educators are nationally accredited professionals in early childhood and care, and the council assesses their home for suitability. The small group environment enables strong bonds between children and carers. There are 112 registered educators with family day care services in Waverly, Botany, South Sydney, Bronte and Randwick. Some parents are increasingly using nannies. The 2013 CareforKids online childcare resource found 14 per cent of parents engaged a nanny compared to 10 per cent the previous year. In New South Wales 16 per cent employed a nanny. The cost of a nanny is often much more than childcare, making it for some parents, a last resort. Other parents are looking at creative responses, including the “playrooms model” which combines childcare with co-working spaces. Playrooms include a safe play area for a small group of children, overseen by professional staff, while children’s parents work in the same space at desks. The presence of parents, who remain on premises at all times, provides support and peace of mind and can reduce regulatory burdens associated with opening a childcare centre. I understand playgroups are emerging in co-working spaces around the world and two Sydney mums have suggested introducing the community based model here, which they believe will provide an affordable childcare option. The Darling Harbour Live project provides an opportunity for co-working spaces within the new building on the former Entertainment Centre car park site. While childcare is a federal responsibility, the impact on the economy of an inadequate service should be a call to action for all levels of government. The Productivity Commission has been asked to suggest ways that the system could be made more “flexible, affordable and accessible” and the State Government should work with the Federal Government and councils to deliver improvement and increase option for parents. Being a professional woman myself having the childcare rebate not income tested means I am able to return to work faster and more days. If they take this away then it’s not worth me going back to work as it’s not economical for our family to have x2 children in care. I might as well not work, receive cheaper care, better benefits or look after them myself. The government needs to support professional families who want to work but shouldn’t be punished for doing so.